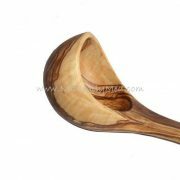 This olive wood ladle is simply stunning, a truly impressive piece of olive wood. 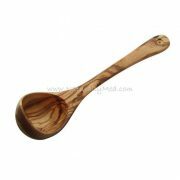 Serve soup or sauces to your guests in this and they will never forget it! 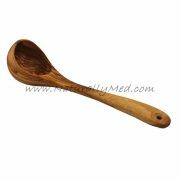 All our olive wood products are finished with olive oil and so will not taint any food it is in contact with, or stain themselves! 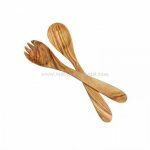 These hand-made pieces are carved out of a single piece of wood so are rare as well as being unique, beautiful and durable.